3cm x 2.5 cm. 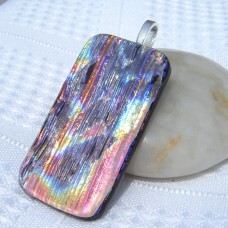 This original design combines the beautiful depth of rainbow dichroic glass capped with a layer of ribbed frosted glass. 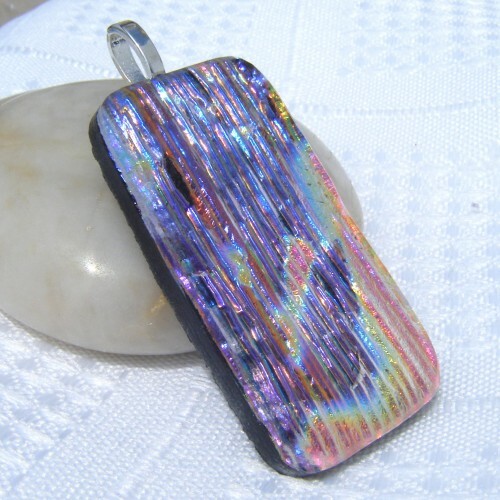 The intense radiance and glow of the dichroic is fighting to get out. 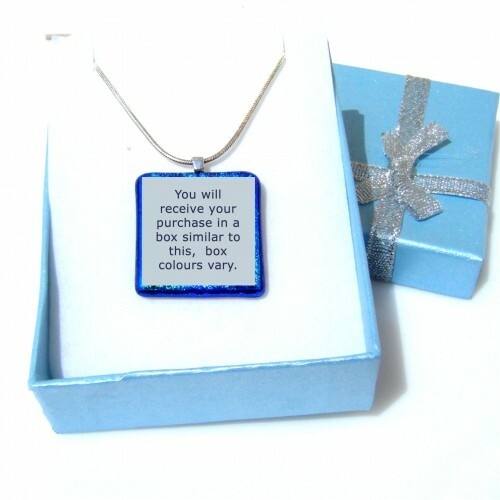 The gorgeous colours glimmer and glow in any light, but come alive in the sunlight. 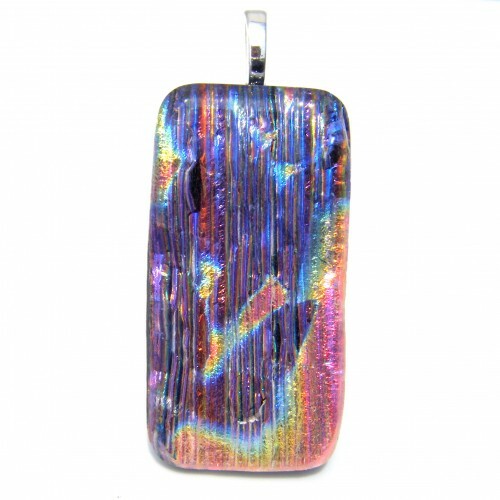 You will also see shifts in colour hues in the dichroic glass depending on lighting and angle from the effect of the ribbed glass on top. 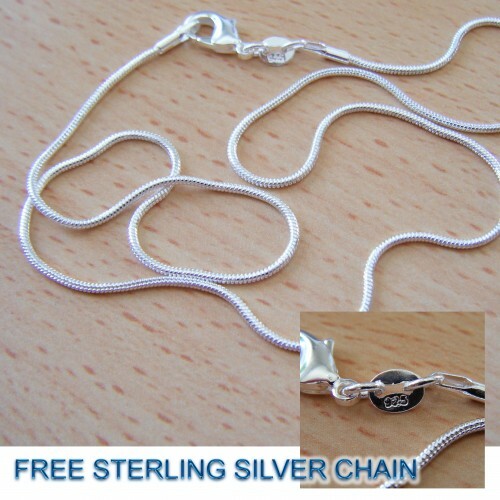 Truly unique and individual this pendant comes with a sterling silver 925 stamped chain.